How did Marion Cunningham find her calling? … it was not until middle age that she found her calling. Until then she had been a suburban mother and housewife, afraid even to leave the house and go shopping by herself, and gradually she had become far too dependent on alcohol. But on her forty-ninth birthday, something snapped in her, and she decided she was missing too much and had to turn her life around. She drove to the nearest airport, in Oakland, bought a round-trip ticket to Los Angeles, and made herself get on the plane, flying there and back the same day. When she returned home that evening and told her family what she had done they were astonished. With her newfound confidence, she announced that she was starting a new life and as of that moment giving up drinking. Cooking had always been Marion’s secret love, and she began right away taking cooking classes. Before long she was giving lessons in her own kitchen in Walnut Creek and was part of the burgeoning food network around San Francisco. Inevitably, she heard about James Beard’s classes at Seaside, Oregon and wrote him asking if she could attend. She fit right in, and the next summer Jim asked her to come back as his assistant. From then on she was his right hand, helping him with classes and demonstrations whenever he was on the West Coast, and chauffering him around Europe. Jim trusted the pureness of her palate and he admired the surety of her taste as well as her warmth and openness with people. The classes that began in June exceeded his (Beard’s) expectations, with a large number of returning students, including Marion Cunningham, whom he has been corresponding with and had visited in California the previous year. The entire class became caught up in James’s passion for food and for the food of this place in particular, but Cunningham understood West Coast cooking as perhaps no one in James’s life had since Helen Brown. 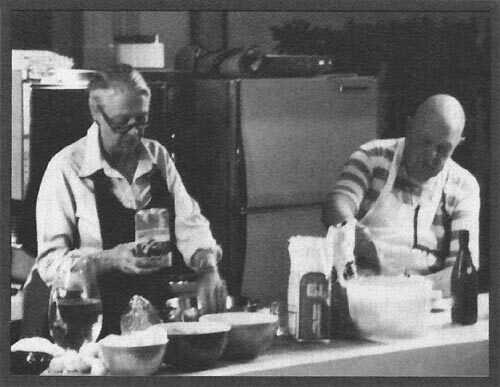 Although the classes dealt largely with preparations life puff pastry, terrines, souffles, and the rest of the repertoire of high-level cookery, Marion could also appreciate without condescension what less sophisticated inhabitants of the Oregon coast were cooking, the sort of thing you might find in The Fishwives of Charleston, Oregon, Cookbook, a community cookbook for sale that summer not far from Gearhart. 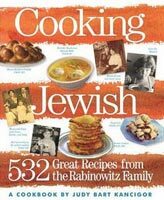 Read Linda Morel’s interview, with the author of Cooking Jewish (532 Great Recipes from the Rabinowitz Family). Kancigor is an Orange County-based food writer. She also speaks about Jewish cooking and family life at synagogues, women’s organizations, and cooking schools. She lives with her husband, Barry, in Fullerton, California. The Kancigors privately published Judy’s first book, Melting Pot Memories. I’m relieved to see Kim Severson’s article, And Then There Was the Food, addressing Newman’s Own’s contributions to the food world in The New York Times food section today. The Los Angeles Times food section disappointed as far as Paul Newman or Newman’s Own. 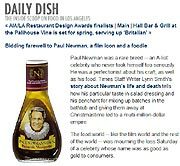 At least Newman made their Daily Dish blog. 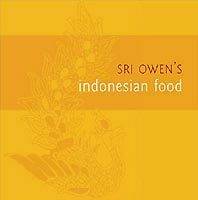 Sri Owen’s new book: Indonesian Food (Pavilion, 2008) [U.S. title: The Indonesian Kitchen] released today. Read the author’s post regarding her new book. The author lists and describes her previous books as well. Read Anastasia Edwards’ recent profile of Owen. Read the Marcella Hazan interview titled: For Better, for Worse, for Richer, for Pasta by Kim Severson in today’s New York Times food section. Publisher Gotham Books plans to release her new memoir/cookbook; Amarcord: Marcella Remembers , this October. Other marketing milestones include the 1950 launch of the “Betty Crocker’s Picture Cook Book,” which became one of the bestselling books in publishing history . . .